Frederic Chopin was a Polish composer and pianist. In Lazienki Park, Warsaw, there is a statue dedicated to him. During World War II, it was the first monument that the Germans bombed in Warsaw. Fortunately, the original mould was still available. And the replica statue, what we see today, replaced the original one in 1958. But, it’s no ordinary statue. Depending on which angle it is admired, it is possible to see different things. 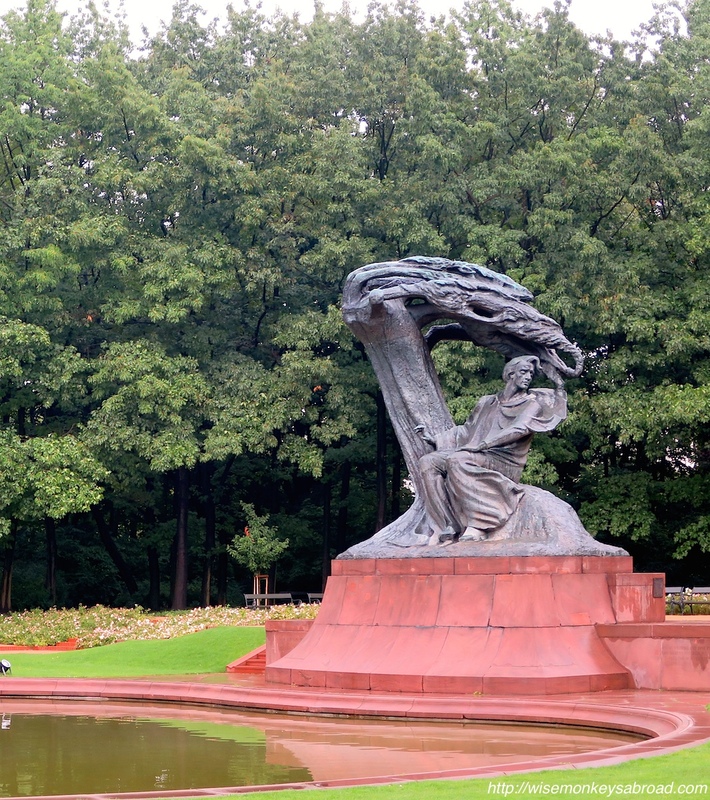 So looking at it slightly from the right side, it is Chopin sitting underneath a weeping willow tree. 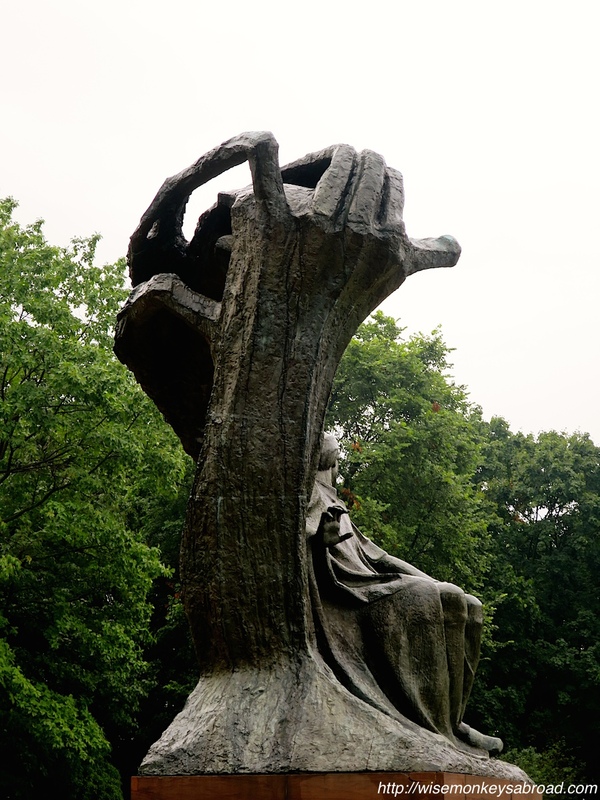 Walk behind the statue and around to the other side, the weeping willow branch, now looks like a hand, with fingers curled over… curled over a piano possibly?? And then stand square in front of the statue, and the weeping willow looks like the head of an eagle from its neck, which is the national symbol of Poland. Can you see its eye? By the statue, during summer, every Sunday there is a free Chopin recital. We would’ve liked to have done this but unfortunately we missed it this time. Wise Monkeys Piece of Trivia: Chopin’s music was banned in Poland by the Nazis during World War II as it was believed he represented “everything Polish”. His music united the Polish people. 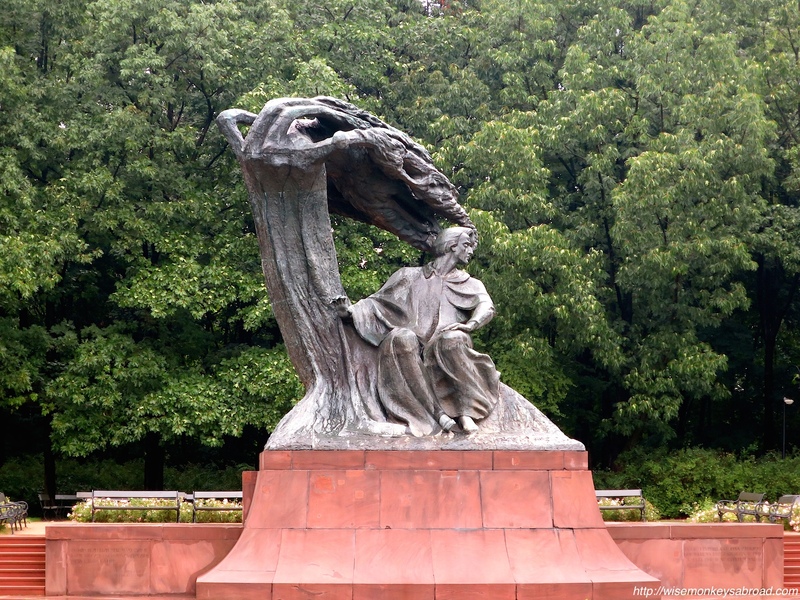 This entry was posted in Europe, Poland and tagged Chopin, Frederic Chopin, Lazienki Park, Poland, Polish composer, statue, Travel, Warsaw.